Luke Donald surrendered his world No 1 ranking to Rory McIlroy on Sunday as Sweden's Carl Pettersson won the RBC Heritage in South Carolina by a convincing five shots. Pettersson, who led by a shot from American Colt Knost overnight, finished with a two-under-par 69 to end the tournament at Harbour Town on 14-under par. That total put him well clear of Zach Johnson of the United States, with Knost a shot further back in third on eight-under. Johnson went round in 70, while Knost saw his hopes of glory ended by a disappointing 74. 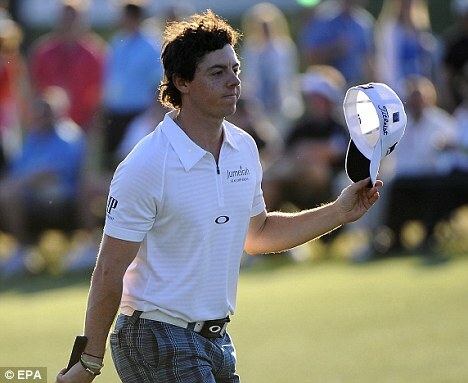 Donald ended a tournament to forget in joint 37th to lose his top spot in the rankings to McIlroy. The Englishman, who closed with a second successive level-par 71, needed to finish in the top eight to retain top spot, but ended on two over, 16 shots behind Pettersson.